Rooms, services The guests of Hotel Lövér Sopron may stay in 180 nicely furnished, comfortable rooms in Sopron. With child-friendly services being available the hotel is also suitable for children, and would be pleased to host all members of the family for your stay. The hotel is prepared to host pets, providing the opportunity of a comfortable stay for both you and your four-legged friend. The pet may be taken with you for an additional fee. The hotel is happy to have you in the restaurant for a hearty lunch or a romantic dinner. If you are arriving by car, the hotel will provide you a parking space without charging you any extra fees. We recommend trying some of the relaxing wellness services available at the hotel, please check the information sheet for the details. Wireless Internet connection (WiFi) is available at the hotel, ensuring that you can stay up-to-date during your holiday. To learn more about the exact range of services of Hotel Lövér Sopron (including services for an extra fee) and the exact equipment of the rooms, please check the information sheet below and the information sheet of the respective rooms. Additional offers, payment In addition to reserving a room at standard prices you may also choose a special offer, for the details please see the "Packages" section below. The hotel is offering the following methods to pay your reservation: cash, bank transfer, credit card. 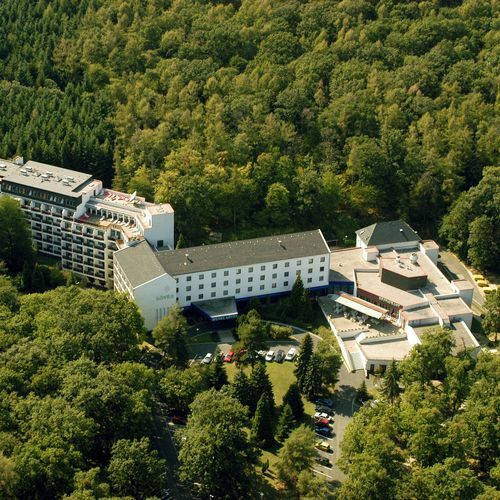 Hotel Lövér Sopron requires 50% advance payment prior to finalizing your reservation. Arrival, opening hours The earliest time of check-in is 15:00, the latest time of check-out is 11:00. The personnel of the hotel can speak in English, Hungarian and German with you. The rating of Hotel Lövér Sopron is 9.3 from the maximum 10, 2449 based on actual and valid guest ratings and reviews. "Szuper ételek, csendes környék, tisztaság, nyugalom. Jót kirándultunk egy szakmailag felkészült vezetővel."